Vibrato warp points allow you to time stretch or compress vibrato without changing the vibrato rate. 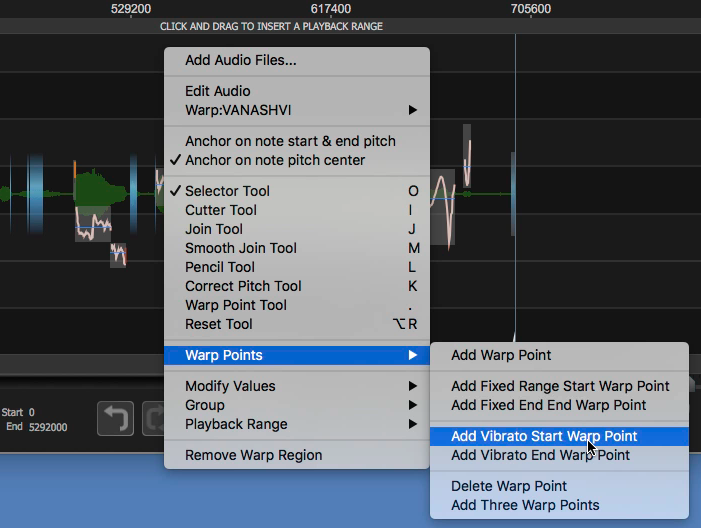 Add a vibrato start point by right clicking at position of the point and selecting the Add Vibrato Start Warp Point menu item. 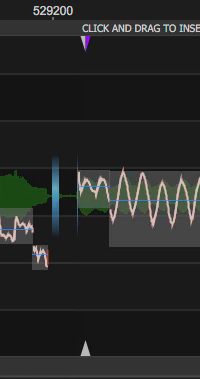 The top of vibrato warp point point is grey and purple. 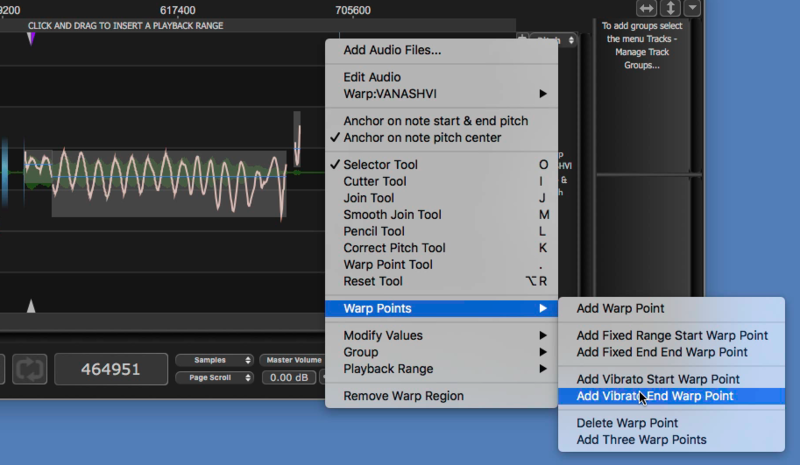 Add a vibrato end point by right clicking at position of the point and selecting the Add Vibrato End Warp Point menu item. 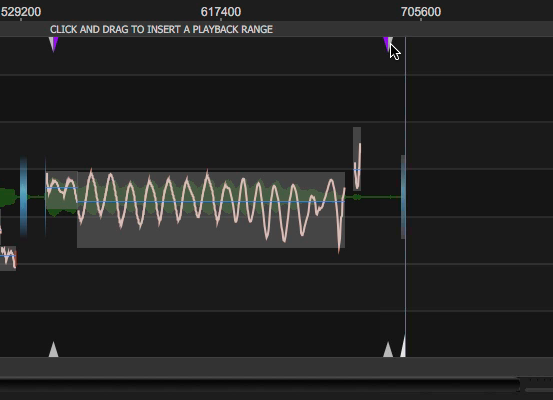 Move the vibrato point by clicking and dragging the top of the point. As you drag the pitch will appear to time stretch in the same was a normal warp point. 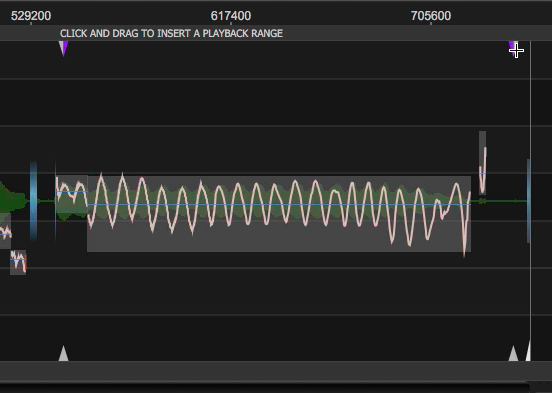 When you release the point you will see new vibrato cycles added. The point you moved may jump to a sightly different position as we stretch or compress the audio using a whole number of vibrato periods. 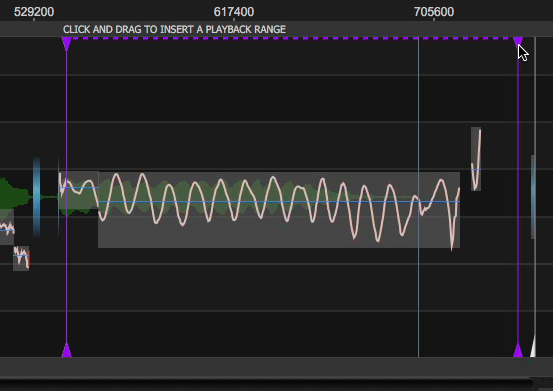 The point may move back to its original position if no vibrato is detected in the signal. If you drag the bottom of the vibrato point it works like a normal warp point. Copyright © 2018 by Synchro Arts Ltd All Rights Reserved.